A quick view of Music Jotter’s interfaces and a look at some of its features. 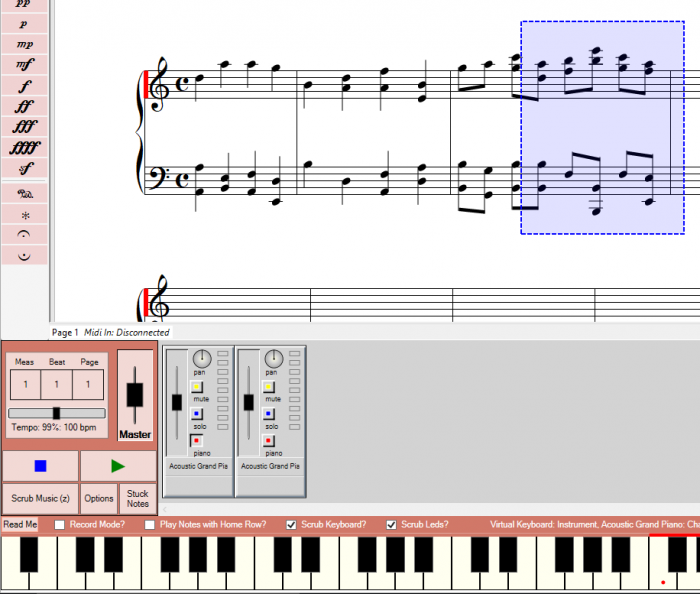 If you would like to see Music Jotter in its entirety in action, we have over a dozen 12 – 45 second video clips. As long as you are connected to the internet, you can save versions of your score. 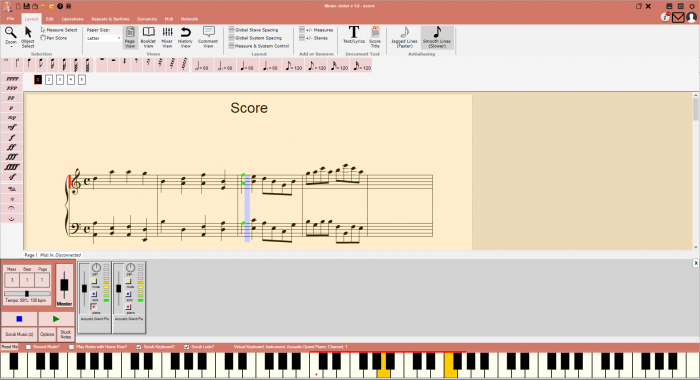 Each track gets its own Virtual Keyboard. 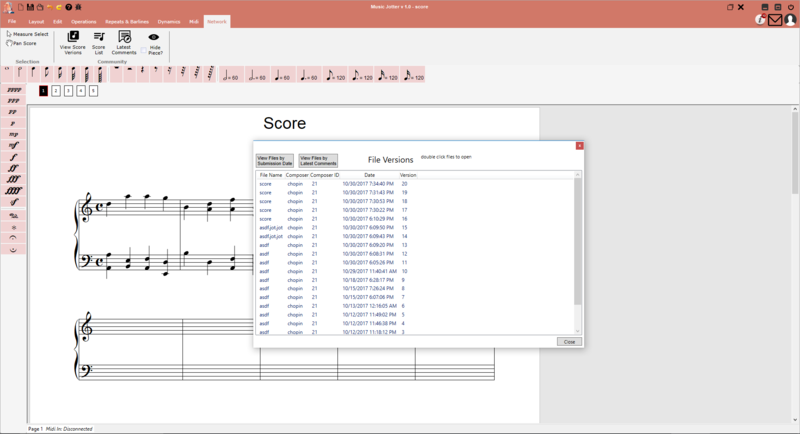 Lyrics are supported in Music Jotter. Click the 'Text/Lyrics' icon, click on a note and start typing. It can't get any easier than that! 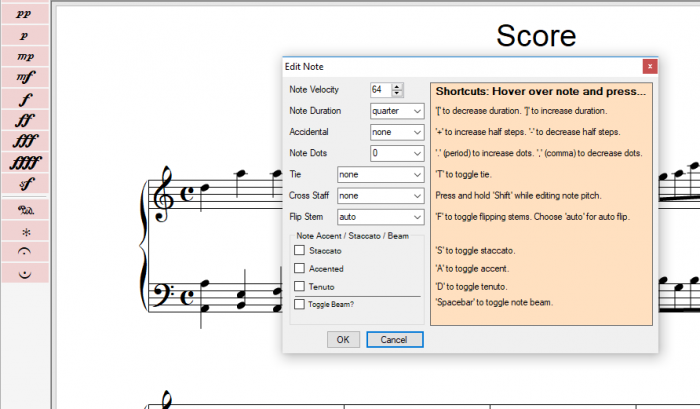 A single left click on a note brings up a dialog box of common note attributes. You will see a list of shortcuts to the right. The mixer contains master controls to the left, and each track gets its own track settings. Furthermore, you can control the name of your tracks here. 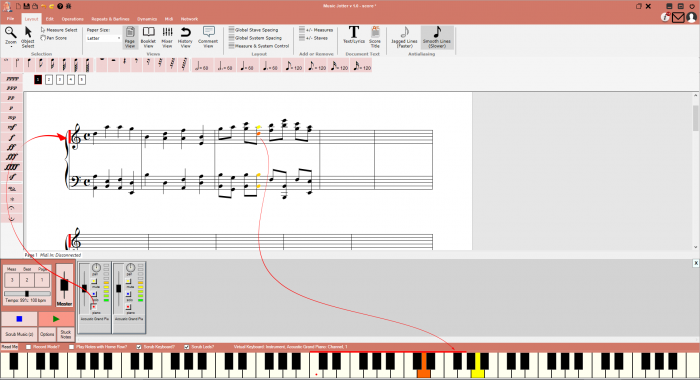 Music Jotter supports cross staves. Select the notes you wish to cross staff, click the 'Edit Tab' and click 'Cross Staff Up' or 'Cross Staff Down'. Our spokesperson, Sir Charles Chadwick in the making: concept art. Srubbing midi is very intuitive. 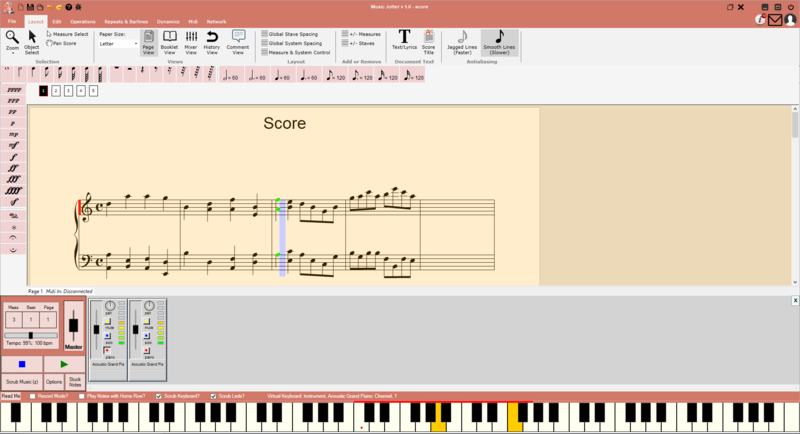 Press 'Z' or click 'Scrub Music' and simply drag the playbar across the score. 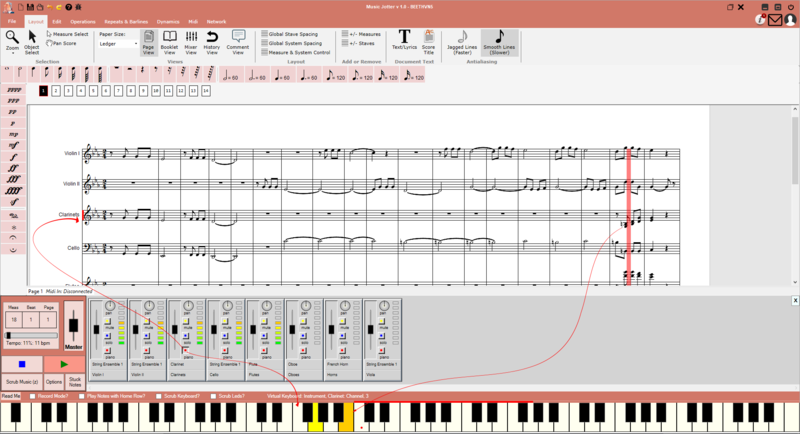 You can even view the scrubbed notes in the virtual midi keyboard if you desire. 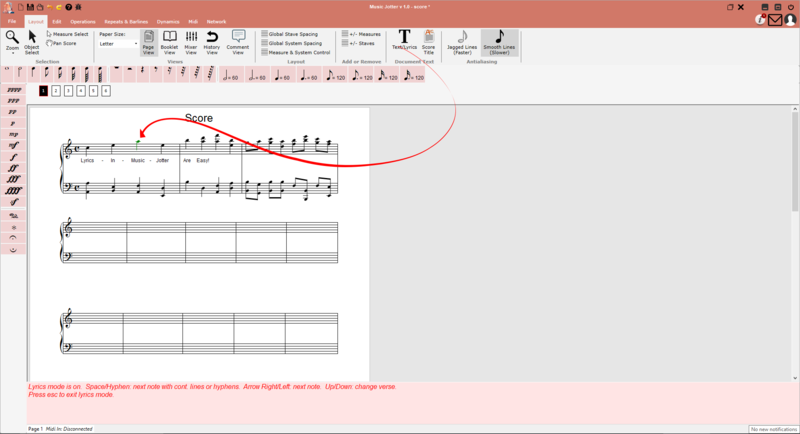 You can select multiple notes by left or right click and dragging a selection box around the objects you wish to edit. The main layout of Music Jotter, with a score, and the main layout tab selected. 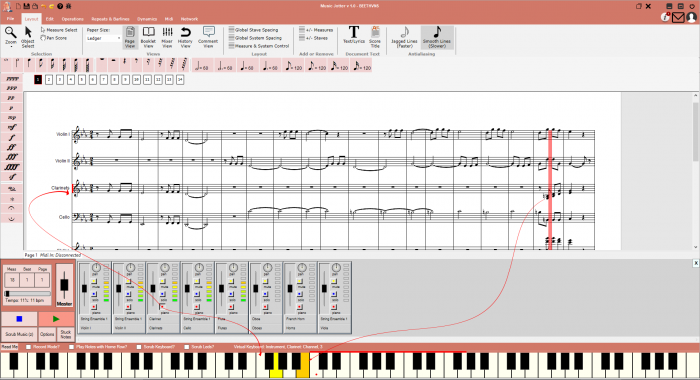 Your Young Composers login credentials are used to log in, and you will see your notifications and inbox at the top right. 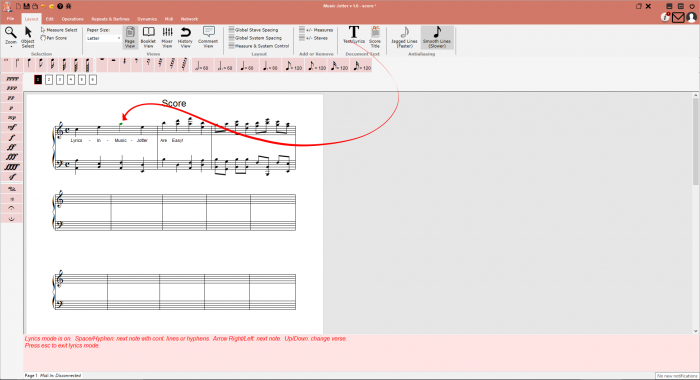 Music velocity is color coded in Music Jotter. Dark red indicates a loud velocity, yellow indicates medium velocity and green indicates a soft velocity. Sir Charles Chadwick, Music Jotter's spokesperson and first user. 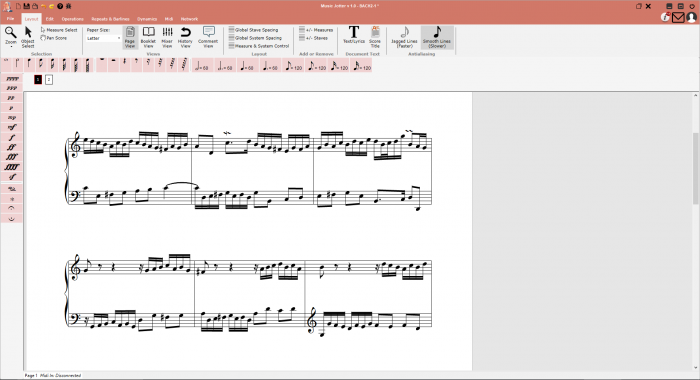 Charles, an 18th century composer can't imagine composing music without Music Jotter. Each staff has its own track view. 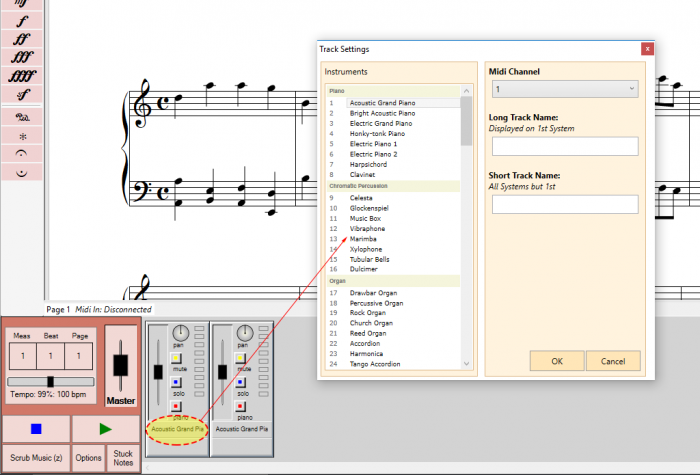 You can pan, mute, solo, update an instrument and view the staff virtual keyboard.